Custom search features are the norm with a Lucene-powered Elasticsearch application. This is one of the most popular open source search tools but it’s also tricky to just pick up and learn. In this post I’ve curated the best Elasticsearch books to help you go from a complete novice to a competent developer, and maybe even an Elasticsearch pro. No matter what your current level of knowledge I guarantee there’s something in this list for you. 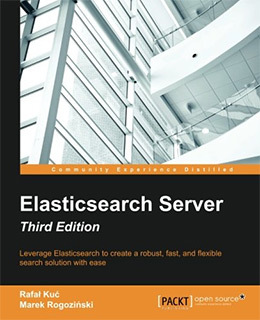 In 500 pages a complete beginner can learn everything they need from Elasticsearch in Action. This novice-friendly book introduces Elasticsearch and teaches the most common features through live examples. 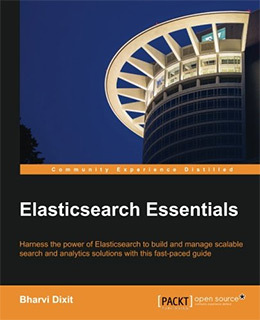 Even though it can be challenging it’s also the best book for newbies to gain fluency with Elasticsearch. Anyone just starting Elasticsearch needs to know what it is, how it works, and why you’d use this in the real world. With Elasticsearch Essentials you’ll get all of this condensed into 240 pages of introductory lessons and exercises. The author Bharvi Dixit has years of enterprise search experience working with Elasticsearch in many dev environments. This book starts with an intro to Elasticsearch covering the basic features, the custom API, and the clients you can run with Python/Java. You’ll eventually move into custom data modeling for handling intense queries over a search database. Elasticsearch is best learned through practice and Bharvi offers a nice mix of theory and practice together in each chapter. 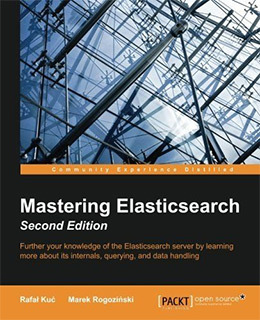 Even if you have no prior experience with Elasticsearch you can still pick up this book and move through the lessons quickly. It helps if you’re already familiar with server tools like Lucene and Solr, but you can still dive in with no background in any of this stuff. This is perhaps the ultimate book for anything related to Elasticsearch or higher-level app development on a web server. Elasticsearch in Action helps beginners with the core concepts and quickly pushes beyond this into more advanced territory. You’ll learn through live examples which culminate to a live search engine powered by Elasticsearch. Along the way you’ll learn about batch searching and indexing results to optimize response times. These can seem like advanced topics but this book covers a lot of ground. The authors all have experience in Elasticsearch and Apache server environments so they’re experts on the topic. Plus this book is freaking massive with just under 500 pages starting with basic functionality and moving through data search, analysis, and scaling web projects. If you’re confident in your dev abilities I would highly recommend this book. 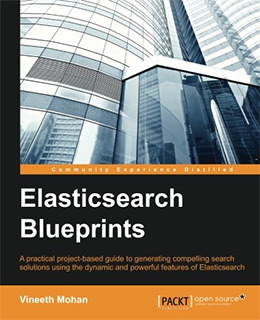 It is easily one of the best resources you can get for developing over Elasticsearch. And while the exercises may be challenging they’re also meant for beginners who want to move quickly with this search engine. I recommend this book to anyone who has the guts and willpower to muscle through these lessons and make it out the other side all the wiser. Here’s another beginner-friendly book that requires absolutely no prior knowledge to get started. But with Elasticsearch Server you’ll be looking into the technicals of Elasticsearch and how it runs on a typical server setup. This book gets into extensions and modules that run on top of the Elasticsearch/Lucene environment. Most of these modules are powered by Java so if you have programming experience that’s a huge plus. But this book really focuses on techniques and workflows to optimize your applications on the server. You’ll learn how to monitor cluster states, how to index different types of data, and how to build on the Elasticsearch API if that’s something you’re interested in. Security is also a topic of discussion for sanitizing queries and protecting against data breaches. I’d recommend this book to developers and sysadmins who want to build scalable webapps with Elasticsearch in the stack. Log files are vital to the success and health of a web server. 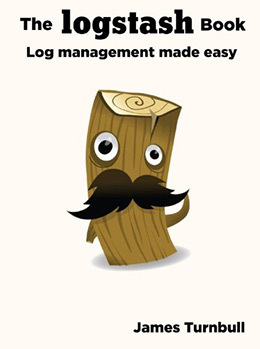 One of the best tools for logging is Logstash powered by Elastic/Elasticsearch. This isn’t incredibly tricky to learn but it can be tricky if you’re looking into logging for production servers. That’s where The Logstash Book comes in handy. It’s a 262 page guide full of tips for devops engineers, sysadmins, and even developers who work closely with the Elasticsearch server logs. You’ll learn how to connect into Kibana and how to display the most important logs right in the dashboard. This book follows a step-by-step approach to teaching Logstash with the premise that you’ll start a pretend job at a new tech company. Each chapter guides you through a typical workflow from installing and configuring Logstash to filtering events and scaling Logstash for your pretend job. You can study Logstash on your own, but this book is cheap and really helpful. If you’re using Elasticsearch in the long term I’d recommend grabbing a copy of this book to study Logstash in depth. Anyone looking for a true technical introduction will enjoy Elasticsearch: The Definitive Guide. This book is absolutely massive with 724 total pages spanning over 40 different chapters. The book targets complete beginners who have never used a distributed search system before. You start from the very beginning by installing Elasticsearch and building a sample webapp. Through these exercises you’ll learn how to index data, how to handle word relevance, and how to track analytics for data trends. Surprisingly this book has a ton of intermediate-level topics and exercises too. It really is the definitive guide for moving from a complete novice to a rather competent Elasticsearch engineer. Every example uses the cURL web API but the book does touch a little on the Elasticsearch native APIs in Java. But if you know how to run cURL then you’ll feel right at home working through these exercises. This is an intimidating book since it’s basically a ton of exercises. But whether you’re a complete newbie or a semi-experienced dev this book can take you places. Just put in the effort and be willing to see it through to the end. By studying how the Elasticsearch engine stores data you can learn a lot about search indexing and optimization. 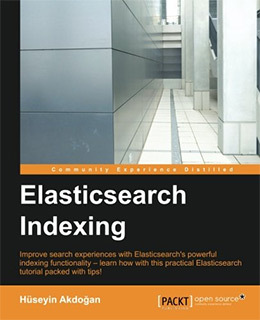 Elasticsearch Indexing offers a short yet detailed introduction to indexing techniques in 176 pages. You’ll learn best practices for mapping strategies and how to handle document metadata for different search queries. Later chapters talk about indexing for Elasticsearch clusters along with tips for reducing server loads. This book is the ultimate guide to indexing from start to finish. Each chapter is full of tips that are both practical and valuable for any modern application. But you should already have a bit of experience working in Elasticsearch before picking up this book. If you already feel comfortable installing and configuring a basic setup then you’ll be fine. Logs and search metrics become even more useful when you can visualize the results. This is where Apache’s Kibana dashboard becomes incredibly handy. Whether you’re a developer or server administrator there’s good reason to use the Kibana dashboard. And with Kibana Essentials you can learn how to install this web-based toolset from scratch by connecting it right into your Elasticsearch server. 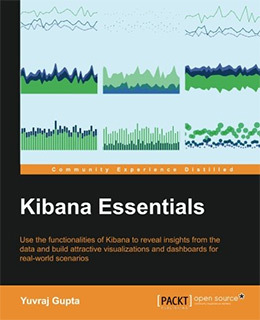 This book is a full guide to all of Kibana’s features, menus, and possibilities. You’ll learn how to properly analyze data with Kibana and how to customize your dashboard based on the data presentation. This can even be valuable to managers and data scientists who might find themselves working in Kibana. It’s a pretty short read with only 206 pages but the contents dive right into Kibana from novice to professional. Kibana is a very handy tool for anyone using Elasticsearch and if you’re gonna learn Kibana consider grabbing this book to aid in the learning process. The best way to learn anything is by example and rote repetition. With Elasticsearch Blueprints you’ll learn the most powerful techniques for implementing Elasticsearch via real world case studies & exercises. This book starts with design patterns for a new server running Elasticsearch. 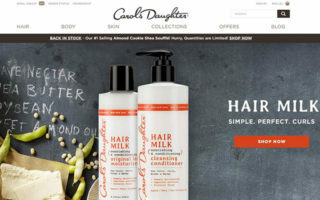 From there you’ll learn how to create a custom search engine for an ecommerce store and how to generate auto-populated search results like Google. Most of these exercises teach patterns that can be replicated and built out further in other applications. 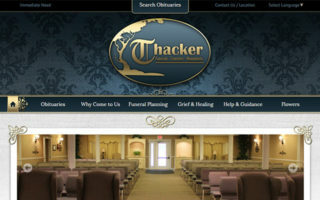 For example, techniques for improving relevancy on data searches can be applied to literally any web project. I absolutely recommend this book for intermediate-to-advanced Elasticsearch developers who want to study real world practical techniques. This book will not teach you everything. 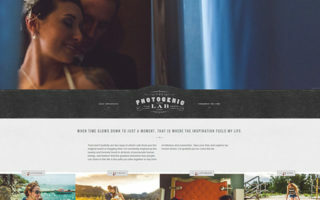 But it will teach you best practices that you can then extrapolate and build into your own web projects. To build scalable websites and work on big data projects you’ll need higher-level Elasticsearch experience. That’s why Mastering Elasticsearch is such a valuable resource for developers with a deep-seated interest in Elasticsearch applications. This book spans 372 pages full of tips for designing apps, indexes, and projects while learning how they can scale. You’ll learn crucial optimization techniques, sharding and data replication techniques, and development libraries to build extensions on the Elasticsearch codebase. With the Elasticsearch API you can build almost anything you need once you understand how it works. 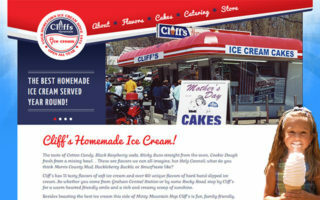 This gives developers a lot of power to build custom solutions for any project imaginable. What I like most about this book is the approach to problem solving. You’ll learn different solutions that might apply to many problems, but it’s on you to make the call and decide what to do. This is undoubtedly the most detailed Elasticsearch book you can buy. Intermediate-level users are the expected readerbase, but even experienced developers & sysadmins can learn some techniques from this book. This is by far one of the largest cookbooks I’ve ever seen. The Elasticsearch Cookbook contains 130+ different recipes for common setups, pitfalls, and basic extensions you can build on top of the Elasticsearch API. 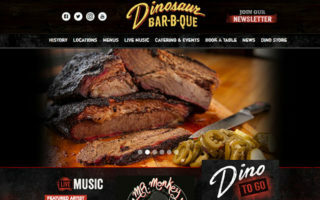 Many recipes focus on optimization but you’ll also learn how to scale a database, handle distributed indexes and order search results based on complicated queries with multiple delimiters. 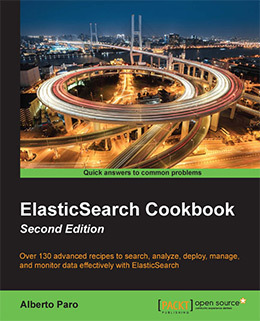 There’s also an updated third edition of this book for Elasticsearch 5.0 and updated with 170+ different recipes. 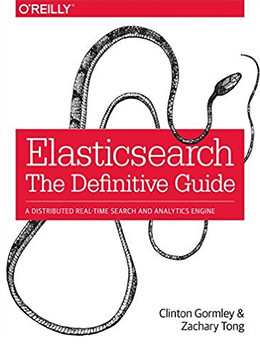 I cannot recommend this book enough for anyone pushing the boundaries of Elasticsearch. All of these recipes are reusable across any project and they’re super easy to customize. Naturally you should already feel comfortable working with Elasticsearch before diving into this cookbook. However you don’t need to be anywhere close to an expert to learn from these recipes. No matter what background you come from there’s always room to learn a new technology. Elasticsearch is a very detailed topic and it really helps to have study guides at your disposal. 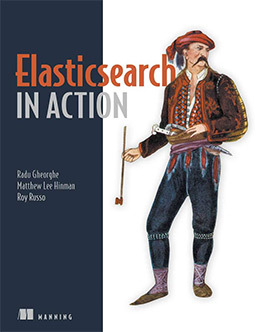 If you’re completely new to Elasticsearch I recommend picking up Elasticsearch in Action as your first learning resource. The authors teach through example so you’ll be forced to solve problems and learn through mistakes(the best kind of learning). But there are many other beginner-level books in this list along with some intermediate-to-advanced resources too. 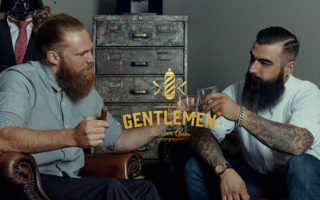 Take another look over this list and if any titles look interesting be sure to check them out.